Paypal is just the best. I can’t stand when I have finally made the decision to click the “proceed to checkout” button and fill out all of my information, only to realize that my credit card is in another room. I love when I see the paypal button. I just click the button, all my information is already saved nice and secure and I don’t have to make the treacherous trip to the other room to retrieve my credit card. I know it’s lazy of me, but there’s a lot of shopping to be done this month! So, for anyone who also enjoys shopping from the comfort of home, here’s a Happy Holidays Paypal Giveaway for $250 just for you! I’ve teamed up with 9 other bloggers to give away one lucky winner $250 Paypal cash to spend! All you have to do is enter with the Rafflecopter entry form below. Seems easy right? Before entering, check out the 10 bloggers that have sponsored this giveaway and we hope you’ll follow us for more exciting giveaways from the Blogging Mamas. Follow us on Facebook to stay in touch with all the latest blog posts and more giveaways like these! 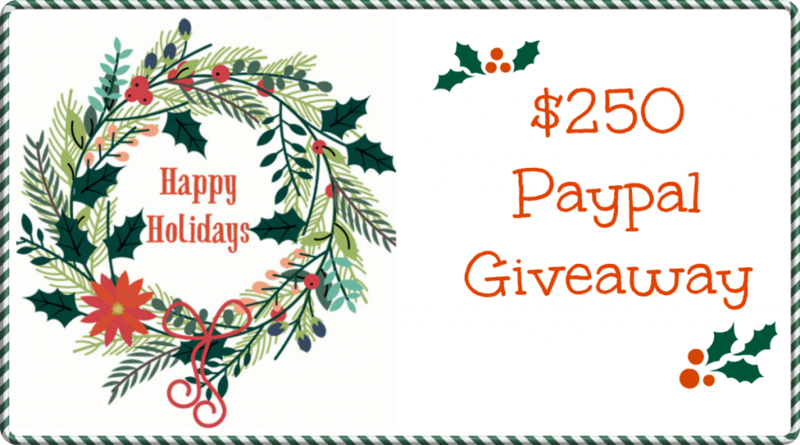 Enter below for your chance to win $250 Paypal cash! Giveaway is open to US & Canadian residents only (excluding Quebec) 18 years of age and older. Please read the full rules under Terms & Conditions. NOTE: The selected winner’s entries will be verified that each entry was successfully completed (i.e. you commented on the blog post, followed on Pinterest etc). If not, the winner will be disqualified and a new winner will be selected. Any questions, please send me an email. Good Luck! 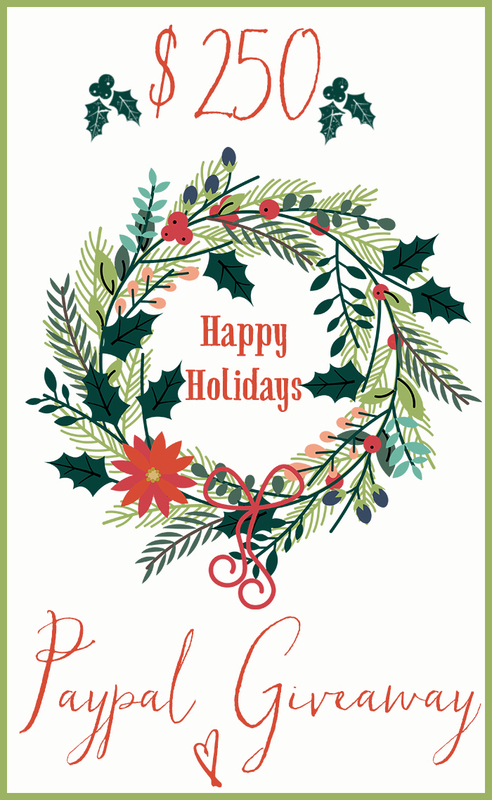 What’s your favorite thing about the Holiday season? Let me know in the comment section below! If I won, I’d gift the cash to my sister who is out-of-state to help her get home for Christmas! If I won I would use these funds to finish my Christmas shopping. I’d save it fora rainy day! I love paypal too! 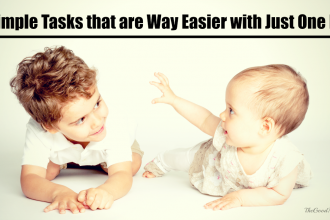 So easy – great giveaway! I’d buy my mom the bike she’s been wanting. Ty for this awesome chance! great giveaway! found so many great blogs to follow 🙂 I’d spend the money investing in my business!